Shaun Miller struck a spectacular late equaliser as Carlisle snatched a point in a 1-1 draw at home to Barnet. 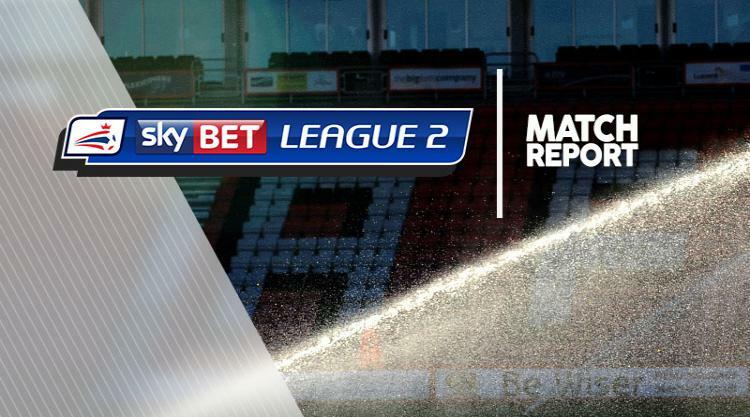 The Bees had taken an early lead through Jean-Louis Akpa Akpro's strike, but Carlisle stuck to their task despite making it five games without a win in Sky Bet League Two. It took Barnet just eight minutes to breach the home defence as Shaq Coulthirst headed on Craig Ross's long clearance and Akpa Akpro flicked the ball past last defender Mark Ellis to leave himself a clear run on goal. The Barnet striker slipped the ball past advancing goalkeeper Shamal George and tapped in the rebound after his initial effort came back off the post. Carlisle found little to excite the crowd in the first half, while it was the visitors who created the best chance when Akpa Akpro headed over from six yards at the end of a neat passing move. Barnet goalkeeper Ross was eventually called into action as Miller tried to stab home Danny Grainger's left-wing cross and Reggie Lambe and Ellis were just off target as Carlisle tried to rally. The Cumbrians had more of the game in the second period but Barnet could have doubled their lead when George saved one-handed from Coulthirst and Akpa Akpro blazed over after powering in from the left. Miller came to Carlisle's rescue with an 86th-minute equaliser - a looping overhead volley from just inside the area which dipped under the crossbar.